We try hard to promote Icon Cast wherever possible. Thanks to our $ZERO™ marketing budget social is the way to go. So we started tweeting (better late than never) and also posting more on Google+. Exploring social marketing secrets eats up quite a lot of time - but thats the tax for getting attention. Currently we are finishing 1.2 version to include some important improvements you are asking for. Then we would like to finally find and ask some reviewers and bloggers to have a look on Icon Cast. So if you know anyone who would like a free promo code and give Icon Cast a shot let us know via email contact@pureprototype.com . So. 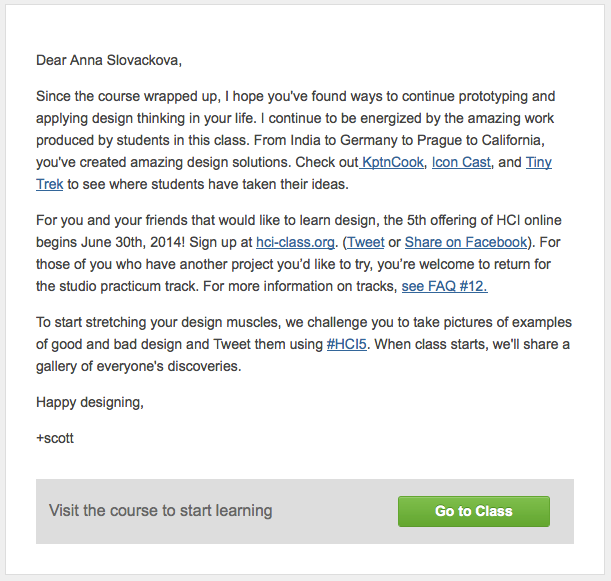 Thank you - the team behind HCI Course - for picking Icon Cast as a good example. We will do our best to move Icon Cast usability forward with the version to come so you can be proud of us.